Can you even name a celeb anymore who isn’t guilty of airbrushing a pic before posting it to social media? 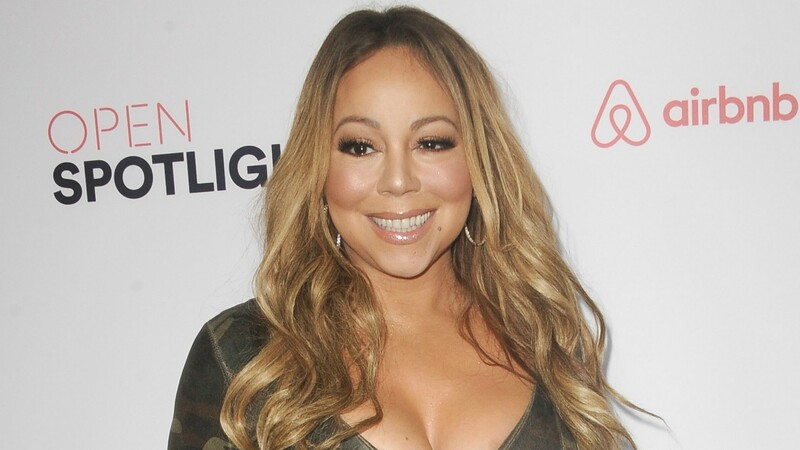 Mariah Carey is getting some backlash for doing a quick edit on a photo she posted on Thanksgiving showing her wearing a deep-plunging lace-up white bodysuit and skinny jeans and holding a pie. “#Festivating !! #happythanksgiving,” she captioned the shot. Only in her hurry to get the snap posted, she clearly didn’t notice that her airbrushing job was subpar. A bend in the frame of the mirror behind her shows where she slimmed her upper arm, and there’s a wiggle in one of the cabinets behind her leg that shows where she made her thigh look thinner — plus, there’s the fact that her legs are two different sizes in the shot. Her followers were quick to call her out in the comments, which were filled with simple comments reading “Photoshop” and even some snake emojis. In my opinion, airbrushing photos is harmful because it promotes unrealistic beauty standards and can be damaging to women and girls who look at celebrities as role models. What’s surprising is that almost no one in the comments was mentioning that, and tons of people were defending Carey. Do you think people should stop altering their images? Let us know in the comments below!